Final Q2 GDP Revised to Down 0.7% - The Commerce Department released the final second quarter GDP to a better than previously estimated -0.7% annualized versus the previous estimate of -1.0%. Economists had expected the final number to be -1.2%. The revision to second-quarter GDP was largely due to smaller declines in business investment and in exports and an upturn in government spending. On a year-on-year basis, growth is down a record 3.8% in the second quarter. A key measure of inflation was unrevised from the prior estimate of a 2.0% gain. On a year-on-year basis, core inflation rose 1.6%, the slowest pace since the fourth quarter of 2003. Corporate profits increased a revised 3.7% quarter-to-quarter, compared with a 5.7% rise previously estimated. Private Sector Job Losses Lowest Since July 2008 - According to the ADP employment report, private-sector employers cut 254,000 jobs in September which is the slowest decline since July 2008. Goods-producing jobs fell by 151,000, including 71,000 in manufacturing. Services-producing jobs fell by 103,000. Chicago PMI Unexpectedly Drops - According to the Chicago-NAPM, the Chicago area reported worse business conditions than in August as the PMI fell from 50.0 in August to 46.1 in September. Economists had been expecting an increase to 52.0. The new orders index declined to 46.3 from 52.5 in August. Case-Shiller Home Price Index Up 1.6% in July - For the third month in a row, the Case-Shiller home price index rose in a month-over-month comparison. July's number came in 1.6% above June's number as 18 of the 20 cities that make up the index increased. The figures indicate a "stabilization in national real estate values," said David Blitzer of S&P, who cautioned that the expiration of the first-time home buyer tax credit and increased foreclosures could put more downward pressure on prices. Fed Buys More Than $3.5 Billion in Treasurys - On Tuesday morning, the Federal Reserve Bank of New York bought $3.545 billion in Treasurys with maturities ranging from 2012 to 2013. This is the only scheduled buyback for the Fed based on its previous statements. The Fed has stated that it plans to finish the buybacks in October in an effort to keep borrowing costs affordable. Consumer Confidence Slides Slightly - The Conference Board reported that the consumer confidence index fell to 53.1 in September versus 54.5 in August. August had been a dramatic jump of 7 points. "Consumers remain quite apprehensive about the short-term outlook and their incomes," said Lynn Franco, head of the consumer research group at the private research organization. FDIC Wants 3 Years of Prepayment for FDIC Insurance - In an effort to refill the FDIC reserve fund, the entity is looking for member banks to prepay three years worth of premiums instead of a special assessment or borrowing money from the Treasury. The insurance premium will rise 0.03% starting in 2011. "The banking industry has substantial liquidity to prepay assessments. As of June 30, FDIC-insured institutions held more than $1.3 trillion in liquid balances, or 22% more than they did a year ago," the FDIC said in a published statement. Chairwoman Sheila Bair said, "It's clear that the American people would prefer to see an end to policies that look to the federal balance sheet as a remedy for every problem. In choosing this path, it should be clear to the public that the industry will not simply tap the shoulder of the increasingly weary taxpayer." Some analysts are pointing to the fact that once the financial system is past the current economic setback, then the FDIC will need to rethink its current fee structure. Part of the issue with the system is the fact that the FDIC was only charging premiums on insuring $100,000, and the change last year to $250,000 put an immediate strain on the reserve fund. The increase of 0.03% for 2011 should help alleviate some of the pressure, but more analysis will need to be done. It should also be noted that the FDIC insurance of $250,000 has been extended to December 31, 2013. After that time, it is scheduled to revert back to $100,000, but this can of course be undone. Many are stating that $250,000 will be the amount going forward. Too Big to Ignore - The Wall Street Journal - "President Obama's economic advisers are struggling to sell their financial reform plan to . . . an Obama economic adviser. Paul Volcker, the Democrat and former Federal Reserve chairman who worked with President Reagan to slay inflation in the 1980s, now leads President Obama's Economic Recovery Advisory Board. He warned in Congressional testimony Thursday that the pending Treasury plan could lead to more taxpayer bailouts by designating even nonbanks as 'systemically important.'" Popularity of 'Public Option' Complicates Health Debate - By Robert Schroeder - MarketWatch - "Republicans are dead-set against it. Some Democrats pan it. President Barack Obama says it's not the only option. But when it comes to a government-run insurance plan, a new poll released Friday suggests all may have to think twice about whether to support it -- just as lawmakers move into a critical stage in the health-care debate." Medicare Scare-Mongering - The New York Times - "It has been frustrating to watch Republican leaders posture as the vigilant protectors of Medicare against health care reforms designed to make the system better and more equitable. This is the same party that in the past tried to pare back Medicare and has repeatedly denounced the kind of single-payer system that is at the heart of Medicare and its popularity." The New Sputnik - By Thomas L. Friedman - The New York Times - "Most people would assume that 20 years from now when historians look back at 2008-09, they will conclude that the most important thing to happen in this period was the Great Recession. I’d hold off on that. If we can continue stumbling out of this economic crisis, I believe future historians may well conclude that the most important thing to happen in the last 18 months was that Red China decided to become Green China." Avoiding a Crash at Copenhagen - The Economist - "The diplomatic process leading up to the climate-change conference in Copenhagen in December is gathering speed. Preparatory meetings are flashing by: the Major Economies Forum last week, the UN climate-change summit and the G20 this week, pre-Copenhagen negotiations in Bangkok next week. The people who run the world are burning carbon like never before to try to agree a successor treaty to the Kyoto protocol." Meltdown 101: China-US Trade Spat and Tire Prices - The Associated Press - "The political back-and-forth could hurt businesses on both sides -- some of them already struggling -- and it could also affect consumers. Most notably: You could see rising prices for tires from China, and fewer price cuts on the ones that aren't imported from there." The Obama Tire Tax - The Wall Street Journal - "Remember that 35% tariff President Obama imposed on tires imported from China this month? American drivers will sure find it hard to forget, as the higher costs start trickling down to U.S. consumers." Tire Tariffs Are Cheered by Labor - By Steven Greenhouse - The New York Times - "As China and some American companies denounce President Obama’s decision to impose tariffs on Chinese tires, the Obama administration can take solace that at least one important Democratic constituency is enthusiastically applauding the move." Initial Jobless Claims Drop - The Labor Department reported that intial claims for state unemployment benefits fell to their lowest level since July by falling 21,000 to 530,000. Estimates had been for a rise in claims to 550,00. The four-week average of initial claims fell 11,000 to 553,500. This is the lowest level since late January. Meanwhile, the number of Americans receiving state jobless benefits fell 123,000 to 6.14 million in the week ending Sept. 12. The four-week moving average of continuing claims fell 1,250 to 6.19 million. Existing Home Sales Drop Unexpectedly - The National Association of Realtors reported that sales of existing homes dropped for the first time in five months by 2.7% in August to a seasonally adjusted annual rate of 5.10 million. Inventories of unsold homes dropped to the lowest level since April 2007 at an 8.5 month supply. Oil Drops on Demand - Oil futures dropped by 4% on Thursday morning as a lack of demand in the commodity and higher inventories hit prices. Oil fell close to $66 per barrel which is the lowest in about a month. Natural Gas Inventories Close to Record - The EIA reported that natural gas inventories rose 67 billion cubic feet to 3,525 Bcf which is only 20 Bcf away from the record high hit in November 2007. At the current level, inventories are 509 Bcf higher year over year and 485 Bcf above the five-year average according to the EIA. FOMC Tone in Statement to Be More Confident - Around 2:15 EDT this afternoon, the FOMC will announce its decision on interest rates (expected to remain the same), but the big news will be the Fed statement. It is believed that with the recent economic data turning positive, the Fed's tone will also sound more confident. Some are speculating that they MAY hint at an exit strategy but that remains to be seen. Oil Down After Inventory Data - The EIA reported an increase in inventories last week and that helped to push oil futures lower. Gasoline demand dropped to its lowest point in 8 months sparking a 5.4 million barrel gain in inventories. Crude inventories rose 2.8 million barrels and distillate stockpiles (diesel and heating oil) rose 3 million barrels. The amount of gasoline supplied which many use as an index on consumption fell to 8.79 million barrels a day. Bank of America, Chase Changing Over-draft Fees - In response to complaints by customers, BofA and Chase are revamping their overdraft fees to make them more customer friendly. Each are doing it different ways, but the end result should be reduced fees to customers and a reduction in profit from fees for the banks. Chase said that their changes include eliminating overdrafts for debit cards unless the customer opts in to overdraft services, and getting rid of overdraft fees if a customer's account is $5 or less overdrawn. BofA said that starting Oct. 19, it won't charge overdraft fees when a customer's account is overdrawn by less than $10 for one day. It will also "improve the process" for customers to opt out of overdraft capability. Obama Calls for Action on Climate - President Obama told the United Nations General Assembly's Summit on Climate Change on Tuesday that the world's leaders recognize the threat of global warming. "If we are flexible and pragmatic; if we can resolve to work tirelessly in common effort, then we will achieve our common purpose: a world that is safer, cleaner, and healthier than the one we found; and a future that is worthy of our children," Obama said. Obama didn't offer any specific goals in curbing greenhouse gas emissions, but called on world leaders to address the problems of rising sea levels, droughts and crop failures. We have two topics for today's post - the financial system and health care, and neither one has a shortage of critics or opinions. Transparency and the Fed - By Matthew Winkler - The Wall Street Journal - "Facing a banking collapse that was unlike anything it had seen since the Great Depression, the Federal Reserve created $2 trillion of assets and debts during the past year to rescue the nation's financial institutions. But it did not make clear to taxpayers just where all of this money went. Taxpayers—involuntary investors in this case—have a right to know who received loans, in what amounts, for which collateral, and why specific loans were made." Tobin Taxes: The Wrong Tool for the Job - The Economist - "'It is usually agreed that casinos should, in the public interest, be inaccessible and expensive. And perhaps the same is true of stock exchanges.' John Maynard Keynes, writing in the 1930s, was in favour of making it costly to switch into and out of investments." Banking Life Means Never Having to Say Sorry - By Margaret Carlson - Bloomberg - "An insincere apology is better than nothing since sincere regret in the over-stimulated, coarse world we live in is beyond reach. I’m thinking singers (excuse me, recording artists), sports stars, politicians and bankers who need bailouts." Unnatural Selection - The Economist - "'We have a long track record of pulling together when times are tough…We’re on the right track.' Thus spoke the boss of Lehman Brothers on September 10th 2008. Within five days Lehman had gone bust and it quickly became clear that the world’s financial system had problems far beyond a single badly run investment bank and temporarily frozen credit markets." Baucus and the Threshold - By Paul Krugman - The New York Times - "So Senator Max Baucus, the chairman of the Senate Finance Committee, has released his 'mark' on proposed legislation — which would normally be the basis for the bill that eventually emerges from his committee. And serious supporters of health care reform will soon face their long-dreaded moment of truth." The Innovation Tax - The Wall Street Journal - "Supposedly the Senate’s version of ObamaCare was written by Finance Chairman Max Baucus, but we’re beginning to wonder if the true authors were Abbott and Costello. The vaudeville logic of the plan is that Congress will tax health care to subsidize people to buy health care that new taxes and regulation make more expensive." Health Reform’s Missing Ingredient - By Ron Wyden - The New York Times - "'My guiding principle is, and always has been, that consumers do better when there is choice and competition,' President Obama said last week in an address to Congress on health care reform. It’s a good principle, one that may determine the ultimate success or failure of reform, but unfortunately it’s not really guiding the Senate bill unveiled on Wednesday or any of the other health reform legislation now under consideration in Congress." Congress Veers Left on Health Care - By Kimberley A. Strassel - The Wall Street Journal - "We were told it was a good thing that the only person in Washington who liked Max Baucus's bill was . . . Max Baucus. That everybody was unhappy meant we were getting somewhere. What matters is that the Senate now has a 'common sense' product to serve as a 'building block' for bipartisan legislation. Uh-huh." Mandatory Insurance Is Unconstitutional - By David Rivkin & Lee Casey - The Wall Street Journal - "Federal legislation requiring that every American have health insurance is part of all the major health-care reform plans now being considered in Washington. Such a mandate, however, would expand the federal government’s authority over individual Americans to an unprecedented degree. It is also profoundly unconstitutional." Touched by Mortality - By Garrison Keillor - The New York Times - "The doctor who saw me in the E.R. wrote in her report: 'nice 67 y.o. male, flat affect, awake, alert and appropriate.' I had appeared with slurred speech and a balloon in my head, had driven myself to United Hospital in St. Paul, Minnesota, parked in No Parking, walked in and was triaged right in to a neurologist who trundled me into the M.R.I. Space-Time Cyclotron for 50 minutes of banging and whanging that produced a picture of the stroke in the front of my brain, so off to the Mayo Clinic I went and the St. Mary’s Hospital Neurology I.C.U. and was wired up to monitors. A large day in a nice 67 y.o. man’s life." Treasury Ends Money Market Guarantee Program - The Treasury Department has officially ended its year-old program to guarantee money market mutual funds. The guarantee program was established a year ago after The Reserve Fund "broke the buck" and was priced at $0.97 versus $1.00. The fund suffered a run on its assets due to losses connected with Lehman Brothers' failure. The government's guarantee program helped stabilize fund assets as investors began adding more cash to the funds. 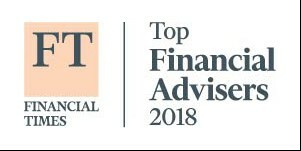 "The guarantee program for money market mutual funds served its purpose of adding stability to the money market mutual fund industry during market disruptions last fall and ultimately delivered a healthy return to taxpayers," Treasury Secretary Timothy Geithner said. Treasury has had no losses under the program and earned roughly $1.2 billion in participation fees. Barclays Changes Interest Rate Predictions - Economists at Barclays Capital on Friday upwardly revised their US GDP forecast and said they now expect the Federal Reserve to deliver its first rate hike in September 2010. Barclays had previously expected the Fed to remain on hold through the end of next year. They expect GDP to grow at a 5% rate in the first quarter "before settling in to a more sustainable, but still above-trend, pace." With the Fed likely to deliver further hikes in 2011. Bank of Mexico Leaves Rates Unchanged - The Bank of Mexico on Friday kept its monetary policy rate at 4.5% for the second straight month. The Mexican peso edged up against the U.S. dollar, with one dollar buying 13.211 pesos. Fed to Propose Wide-Ranging Bank Pay Rules - By Alister Bull - Reuters - "The U.S. Federal Reserve is close to proposing wide-ranging rules on bankers' pay that would apply to any employee able to take risks that could threaten the safety and soundness of the institution, a Fed source said on Friday." Household Net Worth Rises - The Federal Reserve reported that US households were $2 trillion richer on June 30 than March 31, and this was the first increase in this gauge in two years. Household wealth rose in the second quarter at a 17% annual rate to $53.1 trillion after falling at a 13% rate in the first quarter. The rally on Wall Street was the main reason for the increase in household wealth, but rising home prices contributed as well. Consumers continued to pay down debts or have their debts written off at a record pace. In the second quarter, household debt fell at a 1.7% annual rate to $13.7 trillion, matching the record percentage decline in the fourth quarter. Philly Fed Factory Index Up - The Federal Reserve Bank of Philadelphia reported the diffusion index (manufacturing activity) rose to 14.1 in September from 4.2 in August, and this is the highest level of the index since July 2007. Despite the increase, the employment index remained firmly in negative territory in September, dropping to negative 14.3 from negative 12.9 in August. August Housing Starts Rise - The Commerce Department reported that new construction of houses increased 1.5% in August to a seasonally adjusted 598,000 annualized units and was the highest reading since November 2008. Starts of new single-family homes fell 3.0% to 479,000 in August, for the first decline in six months. Starts of large apartment units jumped 25.3% to 119,000. Building permits, a leading indicator of housing construction, rose 2.7% to a seasonally adjusted annual rate of 579,000. Initial Jobless Claims Drop - The Labor Department reported a decrease of 12,000 to 545,000 for the number of people filing for state unemployment benefits for the first time. This is the lowest recorded number since July. Continuing claims rose by 129,000 to a seasonally adjusted 6.23 million. Bernanke Says the Recession Is Over - Federal Reserve Board Chairman Ben Bernanke said Tuesday that the recession has ended from a numbers standpoint. "From a technical point [of view], the recession is very likely over at this point," Bernanke told a conference at the Brookings Institution. Bernanke said there is a "risk" that labor markets will remain weak through 2010 because growth will be too anemic to create jobs. Bernanke noted that many economists now expect the labor market to recover slowly, but he said this was only a forecast and might be wrong. Retail Sales Rise - The Commerce Department reported that retail sales rose a seasonally adjusted 2.7% in August which is the largest increase in more than three years. The number was helped by the cash for clunkers program, higher gas prices, and busy crowds at the malls for back to school shopping. Sales were down 5.3% compared with a year earlier. Auto sales surged 10.6% on the back of the government's cash-for-clunkers program. Excluding autos, sales rose 1.1%, the most since February. Gas station sales rose 5.1% on higher prices. Excluding autos and gas, sales rose 0.6%. August PPI Rises - The Labor Department reported that the August producer prices index rose 1.7% primarily due to a large gain in energy prices. If you remove the volatile energy and food prices, the core PPI rose just 0.2%. Empire State Manufacturing Index Rises - The New York Fed reported that the Empire State Manufacturing index rose to 18.9 in September from 12.1 in August. This is the highest level for the index since the recession began in late 2007. New orders climbed in September while shipments dipped. The employment index remained in negative territory. Who's Too Big to Fail? - The Wall Street Journal - "With Congress back in session and the anniversary of the Lehman Brothers failure upon us, the Obama Administration is resuming its quest for greatly expanded authority to bail out American businesses. Under the Treasury reform blueprint, any financial company, whether a regulated bank or not, could be rescued or seized by the Federal Deposit Insurance Corporation if regulators believe it poses a systemic risk." Reforming the Financial System - The New York Times - "The administration has proposed legislation that would bring most of the financial system under a regulatory umbrella, and impose higher capital requirements to cushion against losses. But in specific areas, like consumer protection, Obama officials will have to fight to ensure that lawmakers do not water down the administration’s intent." Get Real on Health Care - By Roger Cohen - The New York Times - "Some of my summer in France was spent listening to indignant outbursts about U.S. health care reform. The tone: 'You must be kidding! What’s there to debate if 46.3 million Americans have no health insurance?'" A Public Health Plan? 30% of Us Already Have One - By Kristen Gerencher - MarketWatch - "The slice of the U.S. health-insurance pie consumed by people in government programs grew last year as more Americans received coverage from Medicare and Medicaid and fewer were covered by private insurance, according to a new report. The number of people with public health coverage of all types, including the State Children's Health Insurance Program, or S-Chip, ballooned to 87.4 million from 83 million in 2007, according to the U.S. Census Bureau. Twenty-nine percent of people were covered by government programs." Fact-Checking the President on Health Insurance - By Scott Harrington - The Wall Street Journal - "[T]he president's examples of people 'dropped' by their insurance companies involve the rescission of policies based on misrepresentation or concealment of information in applications for coverage. Private health insurance cannot function if people buy insurance only after they become seriously ill, or if they knowingly conceal health conditions that might affect their policy." The Art of the Possible - The Economist - "Mr Obama has to find a package of policies that is fiscally and politically moderate enough to win over a vital few Republicans to his side (and also prevent the defection of nervous conservative Democrats). But at the same time he has to keep the support of the leftish Democratic Party base, which wants to see a more expansive and costly set of reforms. He may well fail. But on September 9th the president for the first time laid out in some detail what such a plan might look like." 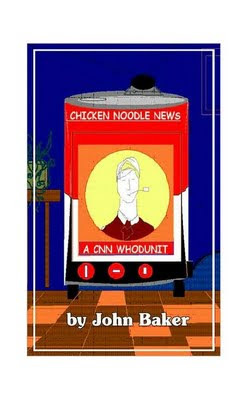 If you’re perusing the book store for something juicy to read, look no further than Chicken Noodle News: A CNN Whodunit written by my best buddy and client of my firm for over 25 years, John Baker. John was at CNN from the beginning, starting as a live TV director and ultimately becoming the Vice-President of Operations before retiring in the early 1990’s. Needless to say, his account of how the first all news network got its start – with eccentric personalities and wannabe TV professionals – is a fun ride. John will be at the Jimmy Carter Presidential Library located at 441 Freedom Parkway on Tuesday, September 22nd at 7:00 p.m., reading from Chicken Noodle News and signing copies of his book. He will also be signing copies of his book at the Barnes & Noble located in Buckhead on September 29th at 7:00 p.m. The book will be on sale at the Carter Library courtesy of A Capella Books at 484 Moreland Avenue in Little Five Points. It can also be purchased through Amazon.com and BarnesandNoble.com. I encourage you to attend either of these special events and meet John – he’s quite an interesting guy, and I think his stories are fascinating. Chicken Noodle News is a peek into the beginnings of what has become the Mecca of media, as told by someone who was there through it all. Read it! You won’t be disappointed. Consumer Sentiment Rises - According to reports, the Reuters/University of Michigan consumer sentiment index rose to 70.2 in early September from 65.7 in August. This is the first gain in the past three months. The increase was above the consensus forecast of Wall Street economists who had expected sentiment to improve to 68.0. Economists expected sentiment to improve because of rising stock prices and a sense that the recession may be ending. Import Prices Rise on Oil - The Labor Department reported that higher crude oil prices were the main factor in the 2% rise in import prices for August. This is the fifth increase in the past six months. Import prices have risen 7.6% so far in 2009 as energy prices have rebounded, but they are still down 15% over the past 12 months. Prices of non-fuel imports into the United States rose 0.4% in August, the largest gain in a year. Brazil's GDP Goes Positive for Q2 - Brazil's economy returned to growth in the second quarter, with gross domestic product up a better-than-expected 1.9% from the previous quarter. Brazil becomes the first country in Latin America to emerge out of recession. Year-on-year, Brazil's GDP fell 1.2%. Brazilian GDP growth of 1.64% in the second quarter of 2009 from the same quarter in 2008. First-quarter GDP contracted 1.8%. Brazil GDP also contracted in the fourth quarter of 2008, by 3.6%. UK's PPI Rises - The UK producers price index (PPI) rose 0.2% in August but still down 0.4% from last year according to a report from the Office for National Statistics. Core output producer prices, which excludes food, beverages, tobacco and petroleum, rose 0.2% on the month and 0.7% on the year. China's Industrial Output Higher Than Expected - The National Bureau of Statistics reported that China's industrial output was up 12.3% versus August 2008 and up 1.5% versus July. The gain was wider than a 10.8% on-year gain in July and beat expectations for 12.0% rise. Also, China's consumer price index (CPI) fell 1.2% versus August 2008, and the PPI was down 7.9% versus August 2008. Retail sales rose 15.4% on year, the bureau said. China's Bank Lending Rises - Chinese banks made new loans worth 410.4 billion yuan ($60.1 billion) in August, way above market expectations of about 320 billion yuan reported by the state-run Shanghai Securities Journal, and also higher than the total loans of 355.9 billion yuan in July, according to central bank data released Friday. Total bank lending in the first eight months of 2009 rose to 8.15 trillion yuan, far higher than the 4.91 trillion yuan they disbursed in calendar year 2008. The central bank also said M2, a broad measure of money supply, accelerated 28.5% in August, compared with a 28.4% increase in July. Initial Jobless Claims Fall - The Labor Department reported that the number of people filing for state unemployment benefits for the first time fell 26,000 to a seasonally adjusted 550,000 last week which is the lowest report since mid-July. Also, the number of people collecting regular state benefits dropped to the lowest number since April by falling 159,000 to a seasonally adjusted 6.09 million. Trade Gap Widens as Imports Come Back - The Commerce Department reported that the US trade deficit widened by 16.3% in July to $32.0 billion. This is the largest percentage increase in the deficit since February 1999 and above economists estimates of $27.5 billion. Imports rose at a record pace in July, but there was also an increase in exports. The U.S. trade deficit with China was $20.42 billion in July compared with $25.01 billion in the same month last year. Excluding petroleum, the deficit rose 18.3% to $23.46 billion. Real imports rose 5.3%. Real exports rose 3.9%. Bank of Canada Leaves Rates Unchanged - The Bank of Canada left interest rates unchanged at 0.25% on Thursday as it has stated that rates will not move until the end of the second quarter 2010 with the only caveat being if inflation comes in too strong. In a statement the Bank of Canada said, "Global economic and financial developments have been broadly in line with the bank's expectations. Stimulative monetary and fiscal policies, improved financial conditions, firmer commodity prices, and a rebound in business and consumer confidence are supporting domestic demand growth in Canada." Household Income Falls in 2008, Children Without Insurance Lowest Recorded Number - The Census Bureau reported that the real median household income fell 3.6% in 2008 to $50,303 and the poverty level increased by 2.6 million people to 39.8 million (13.2%). The number of children without health insurance fell to 7.3 million which is the lowest since 1987 when the data was first collected. Energy Inventories - Oil stayed above Wednesday's close after data from the EIA showed a drop in last week's crude inventories as imports fell. Crude inventories fell 5.9 million barrels versus the estimate of a less than 2 million barrel drop. The EIA data also showed a buildup in gasoline and distillate inventories, as demand weakened. Gasoline inventories rose 2.1 million barrels, and distillate stockpiles, which include heating oil and diesel, rose 2 million barrels. Meanwhile, natural gas inventories rose 69 billion cubic feet. At 3,392 billion cubic feet, stocks were 495 billion cubic feet higher than last year at this time and 503 billion cubic feet above the five-year average. Natural Gas Hits a Roadblock in New Energy Bill - By Clifford Krauss - The New York Times - We have discussed over and over about the benefits of switching to natural gas, and this article discusses the issues surrounding any changes any Congress. "The natural gas industry has enjoyed something of a winning streak in recent years. It found gigantic new reserves, low prices are encouraging utilities to substitute gas for coal, and cities are switching to buses fueled by natural gas. But its luck has run out in Washington, where the industry is having trouble making its case to Congress as it writes an energy bill to tackle global warming." The Fed Will Fight Inflation - The Federal Reserve will do the right thing and prevent an increase in inflation above its target, Chicago Federal Reserve Bank President Charles Evans promised Wednesday. In a lengthy speech, Evans explored the current debate about whether the economy faces a risk of higher prices, or a sustained period of falling prices known as deflation. Evans said he was convinced that the threat of deflation has ended as a result of the Fed's aggressive actions over the past two years. He said markets should be confident that the Fed would not bow to political pressure and would act to tighten monetary policy when needed to defuse any inflation threat. FDIC To Phase Out Debt Guarantee Plan - The FDIC's board approved a plan to phase out the debt guarantee part of its Temporary Liquidity Guarantee Program Oct. 31. It is also questioning whether or not it should have the program remain open though for an additional six months. "The TLGP has been very effective at helping financial institutions bridge the uncertainty and dysfunction that plagued our credit markets last fall," said FDIC Chairman Sheila Bair in a statement. "As domestic credit and liquidity markets appear to be normalizing and the number of entities utilizing the Debt Guarantee Program has decreased, now is an important time to make clear our intent to end the program. It is also important to note that the FDIC has collected over $9 billion in fees associated with this program. The FDIC will be using some of this money to off set resolution costs associated with bank failures." Jet Fuel Drops to 5 Year Low - Jet fuel prices are currently at a five year low according to the Bureau of Transportation Statistics. The cost for a gallon of jet fuel in July fell 50% to $1.90 a gallon from a record-high $3.82 last year, and is down about 10% from 2007, the agency said on its website. Jet fuel prices in the summer months are typically higher than the rest of the year as travel demand peaks before Labor Day. Apple Lowers iPod Prices - In a move that has some believing that Apple will announce a new iPod version, Apple decided to lower prices on its line of iPod digital media players ahead of a company event in San Francisco. Apple lowered the price of its 16-gigabyte iPod touch to $249 from $299 and cut the price of the 8GB version to $189 from $229. Apple also took down the prices of it iPod nano players to $149 from $199 for a 16GB model, and lowered the 8GB version to $129 from $149. Birth Control Could Head Off Climate Crunch - By Gerard Wynn and Nina Chestney - Reuters - "Birth control and new technologies -- not lifestyle change alone -- may be needed to head off a combined climate, food and energy crunch later this century, said the head of Britain's science academy Martin Rees." As in Vegas, just as fortunate gamblers start having a good time at the craps table, the designated “cooler” heads over and spoils the party for everyone (save for the house). The cooler air of September has frequently had a chilling effect on stocks, just as investors have enjoyed some winnings over the first eight months of the year. After the meltdown in the financial markets last fall, it would be impossible for investors to ignore the changing seasons which coincided with a disastrous period for investors last year. However, a closer look at the past returns reveals a bit more benign month than some of the doomsayers might have us believe. True, September has historically offered the poorest monthly returns for stocks, with an average -0.96% return for the month over the past 100 years for the Dow Jones Industrial Average. February is the only other month with average returns in negative territory for the DJIA over the past 100 years. Another truth is that only 58% over this time period has September shown a loss, which alternatively means that 42% of the time September shows a gain. So in order for a reversion to the mean, last year’s 6% loss would theoretically need to be balanced out with a 5% gain this year. Obviously, this sort of logic is not statistically relevant, but the point is that each and every September we don’t expect 10% corrections. Markets typically like to confound the majority. Perhaps because of the recent past (i.e., last fall), there has been in inordinate amount of speculation regarding an impending major market correction during this September. While this prognostication strikes fear into investors’ hearts as more and more anticipate such happenings, it seems that the likelihood of such an event becomes less and less. The fact that investments have recovered significantly can encourage investors to take some profits solely based on the feeling of relief felt by higher stock prices. Most of the economic statistics continue to point towards a moderation in the slowdown, with some of the manufacturing data signaling pretty good growth on the horizon. Not to mention that most economists are now predicting positive economic growth in the 3rd and 4th quarters of 2009. However, employment data still remains the most persistent negative economic component. August saw yet another drop in jobs of 216,000, although that figure was far better than the 691,000 average reported during the 1st quarter of 2009. As we have pointed out, it is very common for stocks to move higher and for manufacturing and corporate earnings to show improvement long before job growth returns to the economy. Employers of all stripes tend to require more productivity from current workers as a recovery begins. It’s not until an economic recovery is well established that hiring additional employees becomes essential and worth the risk to those employers. The unemployment picture will continue to exert negative force on consumer spending and confidence until there is finally job growth again. The overall stock markets posted monthly gains yet again in August. The DJIA gained 3.8%, the S&P 500 rose 3.6%, and the NASDAQ added 1.6% while small cap stocks gained 2.9% for the month of August. International markets were somewhat mixed as the developed international markets gained 4.50%, while emerging markets lost 1.31% for August. Emerging markets and the NASDAQ continue to be standouts for the year, gaining 42.5% and 28.2% respectively, for all of 2009. The S&P 500 has gained a workman-like 15% from the beginning of the year through August 31st. The financial sector rose 13% while beleaguered real estate stocks gained a staggering 19% just during the month of August. The financials were the standouts during August, and drove the markets higher even in the face of some deteriorating sentiment. The banks continue to look stronger as many including Bank of America and Citigroup have bolstered their capital positions, albeit at the expense of diluting previous shareholders’ positions. Commodities and commodity stocks were flat to down slightly for the month of August. Weakness in the commodity markets helps to explain why the emerging markets, some of which are heavily dependent on commodity production, were a bit weaker than other areas. Bonds have surprised as yields for U.S. Treasury bonds have moved lower again this month. The 10-year U.S. Treasury bond yielded 3.40% as the 30-year U.S. Treasury bond yielded 4.18%. Both of these benchmarks are well below the highest rates reached in June of 2009 for the year. Many would have thought, with some certainty, that rates would continue to climb as the U.S. government continues a policy of deficit spending, prospects for future economic expansion increase and future inflation expectations also become more certain. We will continue to monitor the situation here as there are many interesting crosscurrents. As we have pointed out, many have argued that the current rally has run too far, too fast and that a correction is imminent. A reflection on the past eight months may put the current rally in slightly different perspective. We have heard the bottom in March characterized as a false bottom – meaning the market was discounting catastrophic situations in March that were never likely to take place. When the Dow reached 6,500 and the S&P 500 achieved a devilishly low 666, the markets appeared to be discounting additional major bank failures and/or a significant nationalization of the banking sector. Of course this was unlikely given the already substantial support provided to the banks by the government. Some politicians and economists theorizing about the possibility of major nationalizations on the widely followed Sunday morning talk shows fueled some of this speculation. The Obama Administration, Treasury Department and Federal Reserve never hinted that it was even a possibility to wage a large scale nationalization of the banking system. In our view, the persistent rumors and fear drove the markets to irrational bottoms. Without the fear and rumor mongering, where would the bottom have been? The late November lows look like an obvious candidate at would should have been the lows. Fear was high, but speculation that the government would take the initiative or be forced into taking over major portions of the banking sector remained at appropriate levels. While the markets have rallied significantly from these November lows, the rally also looks to be more appropriate with the S&P 500 gaining 33%, while the DJIA has advanced an even less pronounced 23% since November. In this context, the current rally feels a lot more sustainable than the 50% run since the March false bottom. Daily Emails - I believe that the issue of the daily emails has now been fixed, but if you did not receive Friday's post on Friday, and you are not receiving this post on Saturday, please let me know - rschultz@rollinsfinancial.com. The Jobless Stimulus - The Wall Street Journal - "None of this does much for the credibility of the Obama Administration's stimulus spending plan, which was sold with the promise of a jobless rate this year of "below 8%" if the stimulus were passed. That was off by some three million jobs in a mere seven months. The same economists who fretted in February that $780 billion in stimulus was too small now claim that the $300 billion or so that has been spent has somehow ignited the recovery." How to Insure Every American - By Congressmen John Shadegg & Pete Hoekstra - The Wall Street Journal - "When was the last time you asked your doctor how much it would cost for a necessary test or procedure? In all likelihood, you can't remember. That's because your employer-provided health plan or the government "paid for it." In fact, you paid. We all pay for health care." Who’s to Blame on Health Care Reform? - By David Brooks & Gail Collins - The New York Times - "Republicans have been both totally useless and extremely canny in their negotiations..." "Obama promised that health care would be his top priority; he shouldn’t back down now." Let’s Get Fundamental - By David Brooks - The New York Times - "If I were magically given an hour to help Barack Obama prepare for his health care speech next week, the first thing I’d do is ask him to read David Goldhill’s essay, “How American Health Care Killed My Father,” in the current issue of The Atlantic. That essay would lift Obama out of the distracting sideshows about this public plan or that cooperative option. It would remind him why he got into this issue in the first place." Daily Emails - The daily emails for this week's posts have been sporadic. I received Monday's on Thursday, Thursday's on Friday morning, and Tuesday and Wednesday as normal. I have been working on the issue with Google, so hopefully it will be worked out today or at the latest over the weekend. Sorry for any inconvenience. Labor Day Holiday - Rollins & Associates and Rollins Financial will both be closed on Monday, September 7 for the Labor Day holiday. We will reopen on Tuesday, September 8 for normal business hours. G20 To Keep Stimulus Going - According to a report by Reuters, when the G20 finance leaders and central bankers meet over the weekend in London, they will promise to keep economic support packages in place until recovery is certain and seek to reassure financial markets they have credible plans to withdraw the stimulus when appropriate. This stance is partly in response to a revised economic growth report from the IMF that now forecasts global shrinkage of 1.3% in 2009 (-1.4% in April) and growth of 2.9% in 2010 (2.5% in April). Policymakers are cautious about declaring victory yet, especially given most major economies are still shrinking this year and only expected to post sluggish growth next year. "Unwinding the stimulus too soon runs a real risk of derailing the recovery, with potentially significant implications for growth and unemployment," said IMF chief Dominique Strauss-Kahn at a conference in Berlin on Friday. "The biggest risk is to think that the job's done -- that recovery is guaranteed. No country can be complacent -- we've got to see this through," British finance minister and meeting host Alistair Darling said late on Thursday. Still, with interest rates at record lows and trillions of dollars thrown into their economies to fight the crisis, policymakers are keen to show they have exit strategies in place lest financial markets take fright that inflation will rocket and public finances fall apart. "Now is not the time to exit. But I would like to make it clear that the ECB has a strategy, and we stand ready to put it into action when the appropriate time comes," said European Central Bank President Jean-Claude Trichet said in Frankfurt. Unemployment Rises to 9.7% - The Labor Department reported Friday that the unemployment rate rose to 9.7% in August as nonfarm payrolls fell by 216,000. Payrolls have dropped by 6.9 million to 131.2 million since the recession began in December 2007, the government data showed. Unemployment has increased by 7.4 million during the recession to 14.9 million. The 216,000 decline in payrolls was close to market expectations of a 233,000 drop. It was the smallest decline in payrolls since August 2008. Once and Future Taxes - The New York Times - "So far, the Obama administration’s plan for dealing with the budget deficit — an estimated $9 trillion over a decade — is to not dig the hole any deeper. That’s an important first step. President Obama deserves credit for proposing ways to pay for his two big initiatives to date: health care reform and energy legislation. Reducing the growth in health care costs, in particular, is vital to curbing future deficits." Financial Stability Depends on More Capital - By Timothy Geithner - Financial Times - "We have sought to contain this moral hazard through regulation. We require financial institutions to maintain reserves and capital buffers in proportion to their risk so that they can absorb losses at their own expense, not at the taxpayer’s." Customers Angered as iPhones Overload AT&T - By Jenna Wortham - The New York Times - I have an iPhone. It is a great tool with great functionality and applications. I have also said that if Apple ever figures out how to fix the "phone" on the iPhone, it will be the best (dropped calls in and outside 285). Now, an article somewhat explains my frustrations... "When thousands of iPhone owners descended on Austin, Tex., in March during South by Southwest, an annual technology and music conference, attendees were unable to send text messages, check their e-mail or make calls until AT&T installed temporary cell sites to amplify the service." August ISM Services Up - The Institute for Supply Management reported Thursday that the service sectors contracted at a slower pace in August versus July. The ISM non-manufacturing index was a higher than expected 48.4% in August versus 46.4% in July. The business activity index rose to 51.3% in August versus 46.1% in July, and new orders also rose to 49.9% versus 48.1%. The employment index rose to 43.5% from 41.5%. Inflation pressures did increase though with the price index jumping to 63.1% versus 41.3% in July. Natural Gas Inventories Rise, Price Falls - The EIA reported Thursday that natural gas inventories rose 65 billion cubic feet last week and prices fell 0.6% to around $2.70. At 3,323 billion cubic feet, stocks were 489 billion cubic feet higher than last year at this time and 501 billion cubic feet above the five-year average. *** Note - With this obviously abundant US natural resource, how has this not become part of the cleaner energy solution? It's abundant. It's cleaner. It's domestic. Mortgage Rates Drop - Freddie Mac and Bankrate.com both reported drops in the 30 year fixed mortgage rate over the past week. Freddie Mac reported that the 30-year fixed rate mortgage averaged 5.08% with an average 0.7 point versus last week at 5.14%. A year ago, the average was 6.35%. Bankrate.com reported the average 30-year fixed mortgage rate declined to 5.41% versus 5.53% a week ago. The average 15-year fixed-rate mortgage also dropped to 4.74% from 4.83% last week. The average jumbo 30-year fixed rate also fell to 6.34%. Initial Jobless Claims Drop - The Labor Department reported that initial jobless claims dropped 4,000 to a seasonally adjusted 570,000 last week. The four-week average of seasonally adjusted new claims rose 4,000 to 571,250. Meanwhile, the number of people collecting regular state benefits rose by 92,000 to a seasonally adjusted 6.23 million. The insured unemployment rate rose to 4.7% from 4.6%. The four-week average of continuing claims fell 27,250 to 6.22 million, the lowest since April. The number of people collecting benefits of any kind was 9.65 million, not seasonally adjusted. 'Recovery Arriving Quicker Than Expected' - OECD - The Organization for Economic Co-operation and Development released its estimates for the third quarter and adjusted its 2009 GDP forecast. In a statement, the OECD stated, "Recovery from the global recession is likely to arrive earlier than had been expected a few months ago but the pace of activity will remain weak well into next year." "Governments will need to continue to stimulate their economies as rising unemployment and weak housing markets continue to dampen private demand. The current exceptionally low interest rates should remain in force for the time being." The OECD adjusted its economic growth forecast to show that growth across the G7 will fall by 3.7% in 2009 versus the previous forecast from June 2009 of a 4.1% drop. The latest GDP forecasts for this year provide slightly improved outlooks for Japan and the Euro area, an unchanged overall projection for the US but point to a gloomier situation in the UK. ECB Adjusts Euro Zone GDP Estimates Upward for 2009, 2010 - Amid the recent economic data, the ECB has changed its predictions for the 16-nation euro zone for 2009 and 2010. In 2010, the ECB is now estimating growth with a midline estimate of 0.2% versus a previous estimate of -0.3%. In 2009, they are predicting a decline of 3.9% which is better than the previous estimate as well. Since the ECB is always very, very mindful of inflation, they are predicting a 0.4% increase in inflation for 2009 and 1.2% increase in 2010. Based on these estimates of inflation and growth, the ECB's president, Jean-Claude Trichet, said rates are "appropriate" and said that while the period of contraction is over, economic uncertainty is still high. Fewer Job Losses, Layoffs Planned - The ADP Employer Services report showed that fewer private sector jobs were lost in August than in July month while companies also planned fewer layoffs. When you combine those two, this seems to suggest that there has been a modest improvement in the labor market. All told, employers cut 298,000 private sector jobs in August versus 360,000 jobs in July. On Friday, the Labor Department will release its comprehensive payrolls report with economists estimating public and private employers cut 225,000 jobs in August versus the July report of 247,000 job. Non-farm Productivity Rises - The Labor Department reported that non-farm productivity rose at a 6.6% annual rate in the second quarter, faster than the initial 6.4% percent estimate. That was the biggest increase since the third quarter of 2003. BP Makes 'Giant' Oil Discovery in the Gulf of Mexico - BP Plc said it had made a "giant" oil discovery in the deepwater in the Gulf of Mexico. Further appraisal will be required to ascertain the volumes of oil present, BP said, but a spokesman said the find could be bigger than its Kaskida discovery which has over 3 billion barrels of oil in place. BP, the biggest leaseholder in the Gulf of Mexico, has a 62% working interest in the block while Brazilian state-controlled Petrobras owns 20% and ConocoPhillips owns 18%. "These material discoveries together with our industry leading acreage position support the continuing growth of our deepwater Gulf of Mexico business into the second half of the next decade," said Andy Inglis, BP's head of Exploration and Production. Factory Orders Rise 1.3% - The Commerce Department reported Wednesday that factory orders increased 1.3% in July. July's rise marked the fourth straight monthly increase with orders for durable goods jumping 5.1% in July. However, orders for nondurable goods fell 1.9%. Although the number was slightly below the 2.0% street estimate, it is still viewed as a positive that growth is occurring. Oil Falls on Inventory Data - The Energy Information Administration (EIA) reported that crude inventories fell by 400,000 barrels last week which was less than expected. On the news, oil futures fell less than 1% Wednesday morning. Analysts surveyed by Platts had expected a decline of 1.9 million barrels. Gasoline inventories fell by 3 million barrels and distillate stockpiles rose by 1.2 million barrels, the EIA said. ISM Rises Into Growth Range - The Institute for Supply Management reported Tuesday that the August ISM index rose above 50 for the first time since January 2008. The index handily beat expectations coming in at 52.9 versus estimates of 50.5. The July number was 48.9. Bank of America Wants to Partially Repay Bailout - The Wall Street Journal has reported that Bank of America wants to repay part of the bailout money it received from the government. The first "repayment" would be the $20 billion it received in January to help as part of the acquisition of Merrill Lynch. On the government end, they would like Bank of America to pay between $300 - $500 million as a fee for the government's guarantee from January that would have shared some of the losses between BofA and the government. According to the report, if BofA were to repay $20 billion, that would remove them from the list of "exceptional" aid recipients, a designation that brings more congressional scrutiny. What Happened to the 'Depression'? - By Allan H. Meltzer - The Wall Street Journal - "Day after day, economists, politicians and journalists repeat the trope that the current recession is the worst since the Great Depression. Repetition may reinforce belief, but the comparison is greatly overstated and highly misleading. Anyone who knows even a bit about the Great Depression knows that this is false."